Prime Minister Stephen Harper has stopped short of including climate change on the G20 summit agenda, but says it may be discussed as an issue related to the economy. Prime Minister Stephen Harper has stopped short of including climate change on the agenda for the G20 summit, but says leaders may discuss it as an issue related to the economy. Prime Minister Stephen Harper answers a question in the House of Commons on Parliament Hill in Ottawa. Harper's comment came in the House of Commons during Thursday's question period, which featured barbs over Liberal-NDP merger rumours, the extravagance of the French and a fresh name suggestion for the so-called fake lake at the G8/G20 media centre in Toronto. 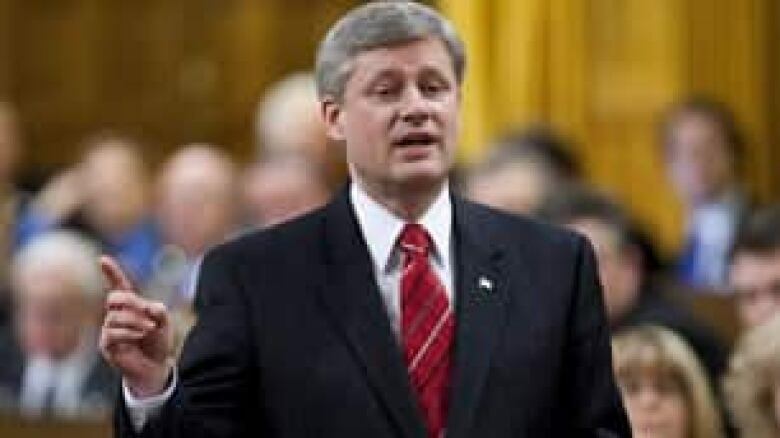 As opposition leaders cited an appeal by six Nobel Peace Prize laureates for Harper to include climate change on the G20 agenda, the prime minister replied the government's position has been clear that the G20 is the main forum for global economic issues. But, he added, those attending can "discuss other things" that are related to the economy, such as climate change. Liberal Leader Michael Ignatieff said the statement signified a change in Harper's position. He then launched into a fresh attack on the government for allowing spending on the summits in Ontario's Muskoka region and Toronto to "morph into a monster." "Even the French are saying the costs of the summits are getting out of control, and France knows something about extravagance, Mr. Speaker," Ignatieff said. Harper replied that security demands nowadays make summits expensive. The PM then made a quip about the Liberal leader's time abroad and a property he owns in France. "As for extravagance in France, Mr. Speaker, I wouldn't know about that, but perhaps the leader of the Opposition, in his home in Provence, could tell us about that," Harper said. The zinger drew guffaws from the government benches, but Ignatieff, in turn, stirred his own side by countering that the prime minister was wasting Canada's "moment in the sun" with uncontrolled spending on features such as the artificial indoor pool meant to simulate Ontario's cottage splendour. 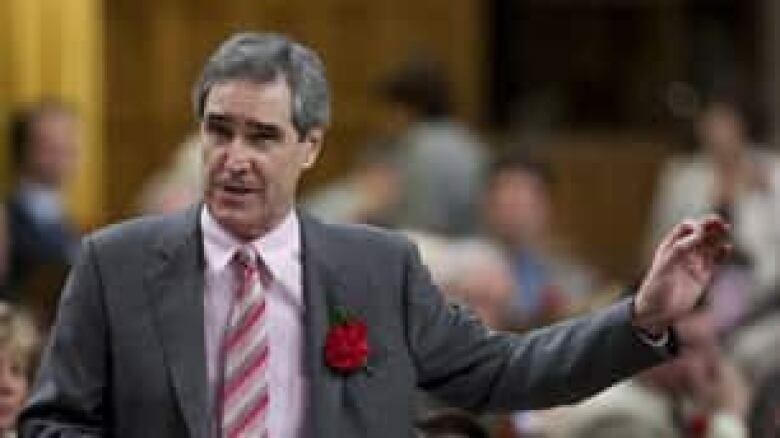 Liberal Leader Michael Ignatieff speaks during question period. ((Sean Kilpatrick/Canadian Press))"Because everybody knows the only thing anybody's going to remember from this summit is Lake Wasteomytaxes," the Liberal leader said. Bloc Québécois Leader Gilles Duceppe questioned why Harper or Environment Minister Jim Prentice have not submitted an official proposal on climate change for the G20. NDP Leader Jack Layton said that while Harper "pretends" to add climate change to the G20 agenda, he should do more through cutting subsidies to oil companies. In response, Harper said the G20 would continue the established practice of assisting the United Nations in its efforts to address climate change, instead of replacing it. The prime minister also said he was "glad to see that this coalition that everybody denies exists asked — all three of them — the same questions today." Following question period, House leaders agreed Parliament would rise for the summer on June 17.